Here are some resources to help you with learning basic English. Thanks to DreyerCoaching.com team-teacher Dennis Woodson for finding these resources! Do you want to help your child learn English? Learn more about our basic English online classes; contact Scott today to find out how we can help you or your family! What will be the topics students will learn? How to find out more or register? Contact Scott today! Contact Scott today! Some topics and people we'll learn about in our group class! We met about a year ago, when you talked with my son online. We did not sign up for your classes then, but we are in trouble now. My son has applied to an American school here in Shenzhen. He has passed the written part of the entrance exam, but he has failed the oral interview with an American teacher. He has taken the interview two times and failed both. He has a third interview in late May, but that's the last time. If he fails that one, he cannot get in. I am almost feeling desperate. Can you please help us? Of course I wanted to help her, so we set up a time to meet online. I assessed her son's English level, heard more about about their goals, and we made a plan. Her son would have four 1 on 1 classes each week with a DreyerCoaching.com teacher, over the next two months or so, leading up to the interview. Each class lasted fifty minutes. His teacher used these and other questions as the teaching material. 1. The teacher would ask the question, so the young man would practice his listening skills. Let's face it: if you can't understand the question, there is NO WAY you can answer it correctly! 2. The student would try to answer the question, to the best of his ability. 3. The teacher would coach and correct the student, to help his word choice, pronunciation, and overall clarity. If all this sounds like a lot of work, it is. As the old saying goes, "There is no shortcut to success." But the student and teacher met consistently and worked diligently for many weeks, about four nights per week. The result? During the last week of May, I asked his mom how things had gone. Thank you, teacher, we are so happy! My son passed his interview and will enter the new school this fall. Thank you so much! Her news made the other teacher and I SO delighted to hear. Thanks to that targeted, intensive time of classes, that young man got into his desired school so he can pursue his dream. That's what we want to do at DreyerCoaching.com. Help you make your dreams come true! Contact me today to find out how we can help you! Tell me three things you would bring to this school? What classes are your favorite and why? If you could meet one person from history, who would that be and why? Do you hold a leadership position at your school? Do you want to in the future? Are you involved with sports? Which teams? What position? Do you like music or art? What type of music do you like? Do you sing in a chorus? Do you play an instrument? Are you involved with acting? Do you want to continue with these interests? Are you involved with a community service project? What did you learn from this project? What was most significant about this project or projects? Do you read outside of school? If so, what types of books do you like? Why? If not, what books that you have read in school do you like? And why? Do you like to go to the movies? What types of films are of interest to you? Who was your best teacher ever and why? Did you ever have trouble communicating with a teacher or coach? If so, what did you do? What do you like to do with your friends outside of school? What did you do this past summer? Go to camp? Work? Go on a remarkable vacation? What does your typical day look like? How much time do you spend doing your homework? How organized are you and what types of methods do you use to keep yourself organized? When you are faced with a problem, how do go about solving it? What activities do you like to do with your family? Tell me one thing about your current school that you most appreciate? What do you see yourself involved in, if you were to come here? More students apply here than we can accept. Out of all the qualified applicants, why should we admit you? What unique qualities or background do you bring to the table? Who is your best friend? Describe this person and say why he/she is your bestfriend. What is your happiest childhood memory? Describe it and give reasons to explain why it is your happiest memory. What is your most important possession? Describe it and say why it is so important. Talk about a person in your life who has inspired you. Describe the person and explain why you found him/her inspirational. Where do most like to go to eat out? Describe this place and say why you like it most. Talk about an important national holiday in your home country. Describe it and explain why it is important. What is your favorite book or movie? Describe it and say why it is your favorite. Who do you feel close to in your family (or extended family)? Describe this person and say why you feel close to him/her. Where is a good place to have fun in your city or town? Describe this place and explain why it is fun. Talk about an experience in your life that made you feel embarrassed. Describe it and say why it was embarrassing. What was your favorite subject at school? Describe it and explain why this subject was your favorite one. Who is an important person in your country? Describe this person and explain why he/she is important. Talk about an interesting tourist attraction you have been to. Describe it and say why it was interesting. Talk about a time when you experienced success. Describe the experience and say why it was a success for you. What is your favorite style of clothing? Describe it and explain why it is your favorite. Name a person whom you truly admire. Describe the person and say why you admire him/her. Think of a place that makes you feel relaxed and peaceful. Describe it and explain why it is relaxing and peaceful for you. Talk about a difficulty you have overcome in your life. Describe the experience and say why it was difficult to overcome. What is your most useful study aid? Describe it and explain why it is useful in helping you to study. Talk about a teacher who had a positive influence on you. Describe this person and explain why he/she was so influential to you. Talk about a positive experience with learning or using English. Describe the experience and say why it was a positive one. Which place has fond memories for you? Describe this place and explain why it is memorable to you. Describe a person from your country’s history. Why do you think this person was important? Where would you like to go to spend a vacation? Describe this place and say why you would like to holiday there. What is your favorite season of the year? Describe the season and explain why you like it so much. What is your favorite way of getting around? Describe it and explain why it is your favorite means of transportation. What career would you like to pursue/prepare for? Why, in terms of your abilities and motivation, do you think you are suited for this life work? This morning I was having class with Queenie, a middle school-aged girl in Shenzhen, South China. We were working on some Q&A about a reading passage, and as I usually do, I asked "Do you have any questions?" Our visit to Hawaii in 2010 was a trip to remember. Hiking on the Appalachian Trail--an experience to remember! The baseball game where we went into extra innings and won by one run was a game to remember. And I asked Queenie, "Last summer, you came to our summer camp. Was that a summer to remember? She said, "yes!" So, Queenie can say, The 2014 Summer Camp with DreyerCoaching.com was a summer to remember." Are YOU looking for a summer to remember, for yourself or a child or other loved one? Join one of our summer or winter camps! Watch this short video to see Queenie (the second person speaking) and her friends from Vietnam and Brazil telling about "a summer they'll never forget." Contact me today for details! Over the summer the students in our Writing Boot Camp worked on their writing skills and read a novel based on a true story set in Southwest Virginia. The book is the life story of Revered Bob Childress, a preacher who went in to teach Christianity in what was then an unbelievable wide and dangerous area, ironically, not a far drive from our offices here in Roanoke, VA. The story was set in the 1920s-40s. As one of our last writing assignments, the students were to take Childress, who passed away in the 1950s, and place him in 21st century America. We wrote this as there was rioting and looting in Ferguson, Missouri in the wake of the shooing of an unarmed black youth there. If he were alive today, what would Childress do? What would he say? How would he approach people and problems? This is what one of our campers came up with. Fine writing, especially when you consider he is a middle schooler in Taiwan, a non-English speaking country. My name is Bob, Bob Childress. You may have noticed me in the book, The Man Who Moved a Mountain, but I am now here, in the 21st century. A few days ago, there was a riot. Ferguson, Missouri was filled with police. When I heard of it, I drove there as quickly as I could in my new Ford Focus (my Model -T is too old). I was too late to stop the riot. But I was able to tell the police and the protestors about God before they did something more serious and told the protestors to go home because it was foolish to come out and ruin a perfectly good night. I convinced the police to free the prisoners. Everybody went home happily that day. Over the next few days, I took people to the hospital and invited them over for dinner. I also drove to the White House to talk to the President about violence and poverty in our cities. I specifically told the news reporter not to interview me. That is probably why I wasn't on the news. Our new classes start every year in September. From vocabulary to writing to speaking better English, we can help you too! Sign up today! Each January, many people spend time thinking about new goals for their year and life. Actually, there is nothing magic about doing that in January only. As author Gretchen Rubin writes, the best time to start a new habit--or break a bad habit--is not the first day of the week, or the month, or the year, but right now. Still, many people do think about goals at the new year, and here are some points I heard from talk radio personality and financial guru Dave Ramsey on his January 4, 2016 program. 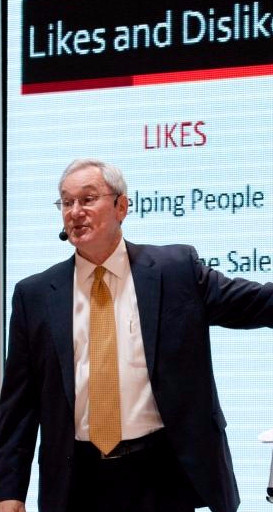 Ramsey himself said he had heard these points from Zig Ziglar, famous motivational speaker. 1. Specific. (If not, your idea is just a wish or a daydream.) For example, saying "I want to be in shape" or "I want to improve my grades" is vague. By the end of the year, it is hard to know if you have reached that goal or not. Specific versions of these goals are: "I want to be able to run a 7-minute mile," "I want to be able to finish a 5 kilometer hike in the mountains," or "I will have all A's or B's this semester." 2. Measurable. This is related to being specific, because we need goals to be something we can measure. Let's take the goal of health again. To say "I want to work out," is too vague and weak. Saying "I want to work out at the gym" is specific, but it's still not good enough. A measurable goal is, "I am going to work out at the gym, at least 3 times a week, for at least 50 minutes each time." This is not a wish, but a specific, measurable goal. By each Saturday night, you can look back on your week and know if you met your goal or not. 3. Your goal/Attainable. When you think about the goal, is it truly something you believe in? In other words, are you working for something because your friends, parents, or spouse wants you to do? To be increase your chance of attaining it, be sure it is something that is meaningful to you. For example, I have a friend who is a licensed attorney. She was successful at it for years, but she told me she went into law because her father suggested she do it. Later in her career, she stopped being a lawyer and became--get this--a public high school English teacher. Why? it was what she wanted to do, and she found her bliss. 4. Time-specific. Here too, an idea without a time limit is only a wish or a daydream. What's wrong with this thinking? - One of these days I'll get in shape. - One of these days I'll have a happy family. - One of these days I'll get organized. - I will be able to lift 30 kg (44 lbs.) by the end of the month. - I will take my family on an overnight trip within two weeks. - I will clear my desk off by 5:00 each day. 5. In writing. This is what Ramsey calls the "magic" of goal-setting. It's easy to have positive ideas in our minds, but when we take the time and effort to write them down--whether on a computer or paper--then we take our thinking to the next level. For one thing, it takes time and effort to write down our ideas, so that can convince even ourselves that we are serious about it. Plus, when ideas are only in our mind, they can be vague and "fuzzy." But writing has a way of clarifying and crystallizing our thoughts, thus making them easier to evaluate and implement. Further, when goals are on paper, we can share them with a loved one and ask for help with accountability, as well as have a clear "check list" where we can record our progress. Ramsey quoted the Bible verse Habakkuk 2:2. Another way to express this is to call your goals SMART goals. SMART is an acronym for objectives that are: Specific, Meaningful (for you), Action-oriented/Attainable, Realistic, and Timely. See the image here. Learn more about S.M.A.R.T. goals and get a FREE worksheet to use for your own goals, here, from the Dave Ramsey team! Want to see a personalized video that business consultant Mr. Zach Clark, CEO of Development and Leadership Coaching, made for Scott in March 2018 on the topics of focus, goal-setting, planning, and follow-up? Watch it here! Let me close with a little story. Someone close to me has been working part-time for years, but never seemed able to save much money. At the end of each year, this person would get a statement showing how much money had been earned and reported for taxes, yet the bank account was always low--and so this individual would wonder: "How come I've been working so hard for so long, but I don't have anything to show for it? Now matter how much I earn, I spend it all!" So one day in early summer, out of the blue, this person asked my wife and me: "Would you be my accountability partners?" This individual went on to explain: "I know myself very well-- if I have money in my bank account, I'll spend it, thinking 'it's okay, I've got lots of money.' So, I end up living paycheck to paycheck, but I really want to save some money this summer." So, the three of us got out a pen and paper, and I advised: WRITE DOWN THE SPECIFIC GOAL. "I will save US$1,200 by August 9, (before school starts), and I will do this by giving Deborah and Scott $350 each paycheck." This young person then put the paper on a place to see daily. My wife agreed to take the cash each paycheck and put it in an online bank. That way, the money is "gone" so this person cannot spend it, PLUS the amount earns some interest! Furthermore, this individual used to eat out a lot, but has now greatly reduced that habit and instead packs lunches--that alone has helped save lots of money. Since this person asked me to be an accountability partner, it's my job to gently remind every two weeks: "Your $350 is due on Thursday." I am NOT nagging-- I am just doing my job, because this person ASKED for my help, so to NOT follow up would be negligence on my part. I am delighted to report, this person has not only made the $350 investment each pay period, but this person sometimes saves OVER that amount! So, at this point, this individual is on track to SURPASS the $1,200 goal! Just last night this person told me, "When I started, I didn't really think I could do it, so I'm so happy now to see I'm on track. Now, I want to save $5,000 by the end of the year." My response: "It's amazing what we can all do, if we just set our mind to it." The details will depend on your own personality and situation: would an accountabilty partner help you achieve your goals? Here's to your success! If your goals include "improving my English," "being able to talk with foreigners," "going to high school or college in the US or an English-speaking country," "doing well on the SAT and TOEFL," or "improving my career," we can help you! At DreyerCoaching.com, we have English classes for children to adult, plus we help with writing and editing as well as US high school or college placement. When it comes to following your goal or dream, you are not alone. We can help you! Ask Scott Dreyer: What are some good Accommodations for ESL students? Q: What are some good Accommodations for ESL students? 2. a convenient arrangement; a settlement or compromise. "management was seeking an accommodation with labor"
"an accommodation between the two parties was reached"
In this case, we obviously are using the second meaning. And classroom accommodations can be the difference between success and failure for some students. I speak to this issue not only as a teacher and president of www.DreyerCoaching.com, but also on a personal level. I have experienced the challenges of overseas living, first when I spent my Junior Year abroad from William and Mary and attended the University in Muenster, Germany. It was a struggle to be an American taking all my college classes in German, including "Introduction to Czech," where I tried to learn the Czech language through German. (THAT was fun!) I later spent ten years living in Hsinchu, Taiwan, where I was a teacher. In both cities, I certainly appreciated the "accommodations" that many fine people made to help me adjust to their cultures and languages. Years later, I saw two young children move from Taiwan to the US during school age: a girl in second grade and a boy in kindergarten. For the second-grader especially, being "thrown into" an English-speaking classroom--where no one spoke her language of Chinese--must have been daunting to say the least. My wife and I wondered how she would handle the first day, but she came back all smiles and told us (In Mandarin) "I like my new school-- everyone is very nice, especially the teachers." "Did you understand what was going on?" we asked her. "I did fine in the music, PE, and math classes. I understood those." the student feels bad because they cannot keep up with the work or sometimes even know what is going on. They may feel stupid. Let's say someone gave me (or you) a page to read in Russian. I cannot read it, not because I am stupid, but because I never learned to read Russian. Same with our students. the teacher feels bad because they want to student to learn and grow, but the student may lack the basic skills. When some students become very frustrated, they may just give up and sleep or play on their phones in class = more teacher frustration. Teachers may also wonder: is this student struggling because of language weakness, or is laziness playing a role? Most teachers (through no fault of their own) have not been trained in ESL skills, and teachers are busy: many fear that if they focus too much attention on one or two ESL students, they risk neglecting the rest of the class. the administrators feel bad because they are caught in the middle. They want all their students to be successful, but there is no magic wand, and some teachers complain about students "not ready for my class." the parents feel bad, because they are feeling helpless thousands of miles away in their home country, usually they cannot speak English well so they cannot talk with the teachers or host family directly, but they are seeing poor report cards and test scores. Their response is often to berate the child for not working hard enough. the host families feel bad, because they are willing to provide a room, meals, and family experience in the US (already a big contribution), but they are not equipped to provide focused ESL or homework tutoring. Add in that most host families have their own children and homework to worry about, not to mention jobs, mowing the grass, driving to and from soccer, etc., and you see host parents are "stretched to the limit" too. They can and should encourage their guest student to do well in school, but expecting host parents to invest hours each night helping with homework and learning English is probably unreasonable for most situations. The agents feel bad, because they want the students to do well, but the agent is probably in another city like New York or some place and thus unable to help directly. The agent too is "caught in the middle," with schools telling them the student is ill-prepared, and the family asking "why is my child doing so poorly there?" Wow, that's a lot of problems! Thankfully, there are many solutions as well. As stated above, where possible, look for ways to emphasize the NON-language aspects, especially at first. Over time, you can gradually add more linguistic work. International students may be particularly comfortable in art, music, or PE classes, based on their interests. As an administrator, you might want to place that ESL student in an art class, rather than Spanish I. For many Chinese students, they are one to two years ahead of many Americans in math, so math may be relatively easy and a confidence-booster for ESL students. One potential trouble-spot: word problems. But I would like to talk directly to teachers now. You do not have the power to place students in, say, art or music. The student is in your core-curriculum class. What are some options? Here are a few. - Try to avoid IDIOMS in your speech. This is hard for many of us, but realize idioms can "throw our students for a loop" (confuse them). Let's say your students did a great job on a test. Rather than tell them, "I'm tickled to death you all rose to the occasion and hit it out of the park," say, "I am so happy you did so well on this test." - Hold your student to high behavior standards, the same as your non-ESL students: no phone-surfing in class, no head on desk. Do not make excuses for or enable poor or insubordinate behavior. - For example, a grade 11 student just arrived from China was struggling with a document-based question (DBQ) in US history. The topic involved the worldview and values of the Puritans, so most of the documents had "King James English" from the early 1600's. Plus, the very content was alien to a student from atheistic China. These readings are hard for American students, let alone an ESL student. So, this teacher made an accommodation. The student had to do the assignment, but instead of using all dozen or so documents, he just used one: a map of a Puritan village. (High on visuals, low on text.) He saw the church in the middle of town and realized "Christianity was important." He saw the schoolhouse there too and realized "education was important." He saw the Village Green and Meeting House and realized "community and democracy were important," etc. Result? 20/20 on his paper. As time goes on, more documents can gradually be added to each DBQ. Maybe two in the 2nd 9 weeks, three in the 3rd, etc. - Maybe you are studying Germany in history or geography. Instead of the traditional "5-paragraph essay" about Germany, maybe your student could play a violin piece by Beethoven or Mozart for the class, and tell a bit about the piece or musician? - Among the 4 language modes--listening, speaking, reading, and writing--writing is the hardest. Think of little children: they learn to listen first, then speak, read, and writing comes last. Similar for our ESL learners, in some ways. Back to the Germany essay: What if Li doesn't play the violin? Maybe he can create a poster board about Germany with photos and facts and tell the class about it. Still too daunting? Maybe he can explain the project toÂ you in private outside of class some day. Or he can bring in some apple strudel and coffee? (That will help his popularity with his classmates!) Be creative. - Testing: instead of essay answers, maybe try multiple choice with your ESL students. For fill-in-the-blank, provide a word bank to pull from. Consider giving your student more time to finish tests, taking them with you during your planning period in case of questions, or even taking the test home and using the book. - Be available: let your student (and the host family) know of days you are available for any tutoring or to answer questions before or after school. These accommodations are not to be a long-term "crutch" or enabling device. Nor are they to be used to cover for laziness. As time goes one, the workload can gradually be increased and "mainstreamed," with the goal of helping the student reach grade-level work as soon as possible. But in those first few semesters and years, some additional support is usually necessary. And yes, I said "years." If a student comes to you with an elementary-reading level, he or she will not be at grade level after a few months and a few "silver bullets." It will take time and effort and patience, but it is possible and very much worth it! This topic is broad, so this post does not claim to be "exhaustive." For some more ESL accommodations, click here. There will be many times with outside help is needed. Everyone is doing their best, but your staff is busy and over-committed. Everyone is working hard, yet struggling to see your international students succeed. That's where we can help you. A Chinese student came to an independent school in our city about two years ago. She was mature, ambitious, and diligent, but her lack of English skills hampered her work. Furthermore, she had a hard time expressing some of her questions to her teachers, and her teachers were not sure she had understood all their answers or explanations. She was in a highly academic school with rigorous expectations, and she was struggling. Disturbed by their teachers' and student's frustration, the school administrators asked the student's agent for help. That agent then told them about DreyerCoaching.com and me, and how I could help. We quickly set up a meeting where I went to the school and met the student, some administrators, and some teachers. After everyone expressed their concerns and goals, we decided on a simple plan: the student and I would meet two hours a week, after school, for focused, intensive tutoring. Since I speak Chinese, the student and I could easily discuss her school work and particular issues. Plus, having helped Chinese people with English since 1989, I could quickly pin-point her common mistakes and explain how to fix them. Since her parents spoke no English and no one on staff at the school spoke Chinese, I was able to arrange and translate for some online chats between the parents and principals, to everyone's seeming relief. The content of our weekly classes varied, based on the student's needs that week. Sometimes we worked on some homework or an essay she had been assigned. Many times we worked through Test of English as a Foreign Language (TOEFL) essay topics I had assigned her. Sometimes we worked through TOEFL or SAT review books. During her senior year, we mainly worked on her college application essays and her senior thesis, a HIGHLY rigorous assignment that required copious research, a twenty-page paper with documentation, and a public defense with Q&A. We worked together during her junior and senior years, and it was great: she took the Test of English as a Foreign Language (TOEFL) three times, gaining about 10 points each time, with a final score of 95. She was accepted to six fine universities, including the highly competitive Virginia Tech architecture program, which she turned down to study art up New York. It is hard to express how gratifying it was to watch her read her twenty-page senior thesis in practically flawless English, handle questions deftly, and later see her and meet her parents at her going-away party and graduation ceremony. Do you have international students on your campus now who could benefit from some intensive, individualized help? We can help! 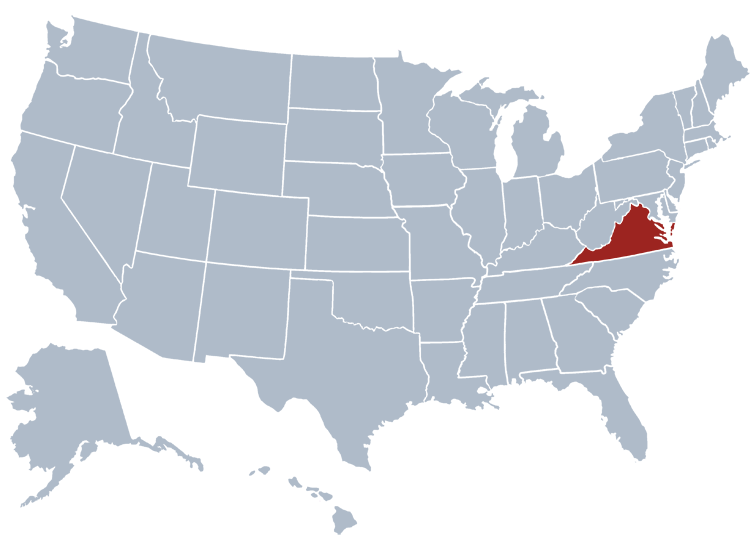 From our headquarters in beautiful Roanoke, Virginia, we offer professional ESL services with veteran teachers, native speakers of American English, to anywhere in the world over the internet. EVEN BETTER: Do you have students planning to attend the US in the future? Get them involved with our tutoring NOW, while they are still at home, so they can become used to speaking with Americans before they arrive. Many of our students have told us how their tutoring while still at home helped them have a smoother and more successful transition to a US school. In this video (in Mandarin), Benny from Beijing explains how his online experience with DreyerCoaching.com helped him prepare for his successful high school years in Roanoke, Virginia. Happy Ending! Kyle from China with his American friends, graduating from high school!